Yeah boy! Rockstar Games finally put a date on it. The last two games are some of the funnest I've ever played, and after I write this, I'm most likely going to replay them. Rockstar promises to take Max Payne to darker levels (I don't know how that's possible, but it sounds good). 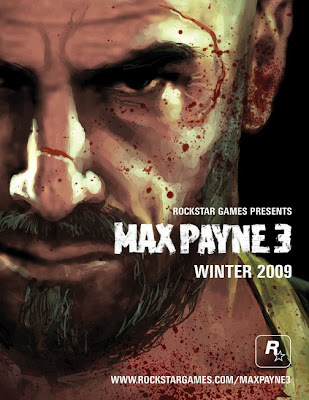 Sam Houser, founder of Rockstar Games, says, "This is Max as we've never seen him before, a few years older, more world-weary and cynical than ever. We experience the downward spiral of his life after the events of Max Payne 2 and witness his last chance for salvation." That's pretty broad, but at this point, you could say Max goes back in time during Shakespearean times to fight an invisible sponge named Day Day and I'll still be excited; that is, as long as we get to shoot motherf***ers.